This year we are continuing to use the Daily 5 and CAFE reading program along with utilizing the NYS ELA modules and assessments provided by the district. 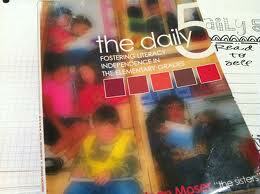 We will also be using the The Columbia Writing program by Lucy Caulkins. . Right now, we are focusing on increasing our stamina to work independently suring Read to self. Within the next month or so the other choices will be introduced. While the students are completing literacy tasks, I will be meeting with small groups and conferencing with individual students. The students will learn reading strategies within each category. These strategies will become tools for the students to use to help themselves become better readers and writers.